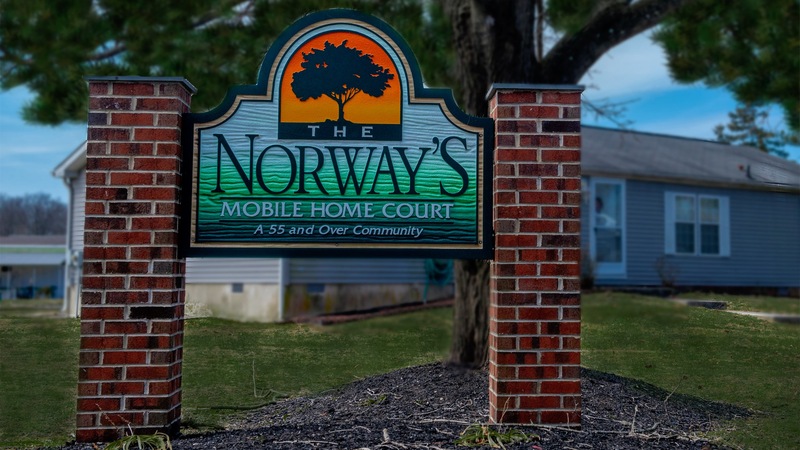 Since 1966, The Norway's Mobile Home Court, Inc. has been a family-owned-and-managed 55+ community in Sicklerville, New Jersey, made up of an array of manufactured homes. Our beautiful 55 and over community is quiet, and is conveniently located near grocery stores, retail shopping plazas, hospitals, and more. From the moment you purchase a manufactured home within the senior citizen community at The Norway’s Mobile Home Court, Inc., you will feel right at home. You can enjoy a comfortable home, yard of your own, and individual patios or sunrooms. Our location is quiet, hidden, and tucked away, providing you with the ideal living community. We currently have more than 150 sites with spacious lots available. The Norway’s Mobile Home court, inc.